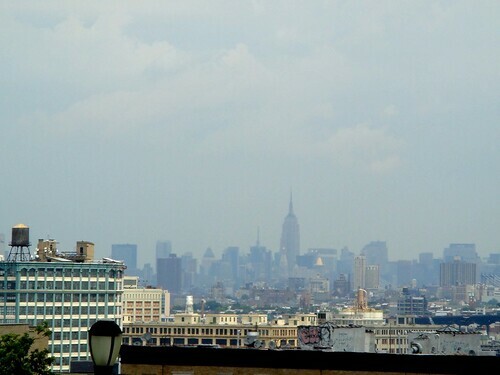 0 Comments Published by Cedric Benetti on Wednesday, July 15, 2009 at 7/15/2009 06:10:00 PM. 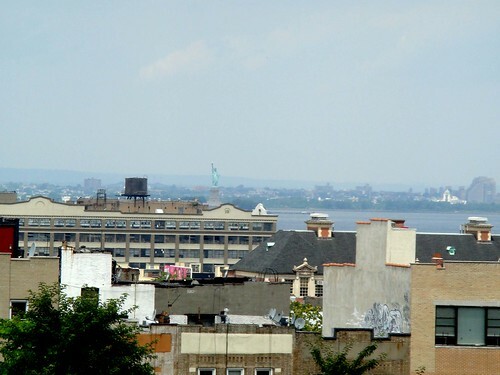 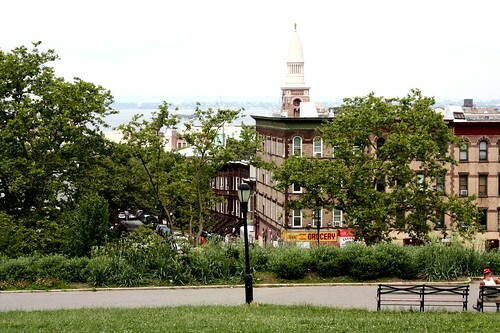 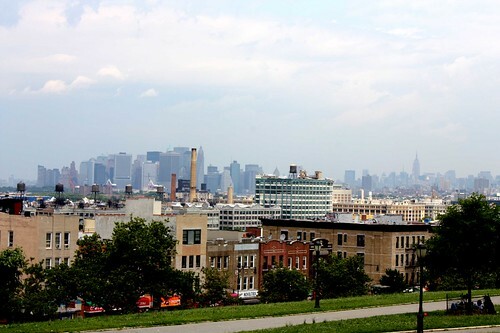 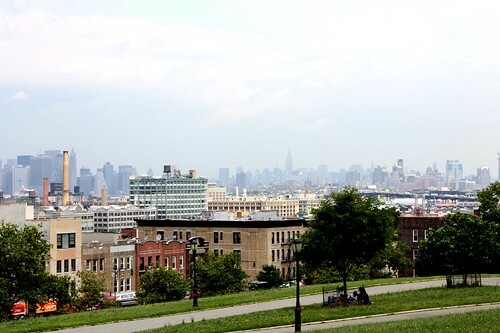 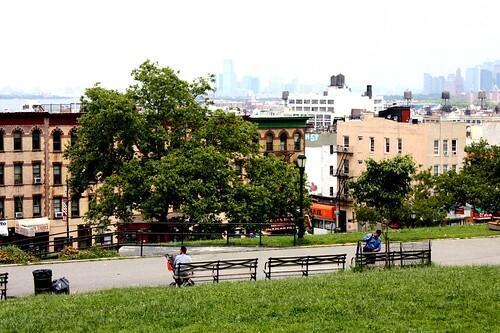 Sunset Park is the second highest point in Brooklyn. 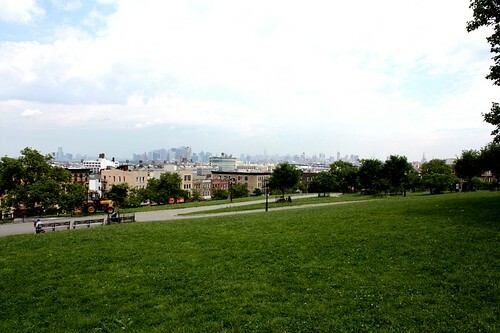 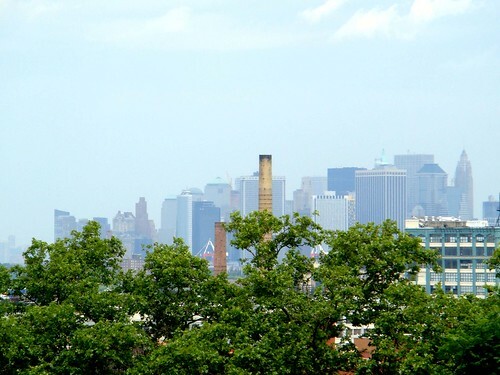 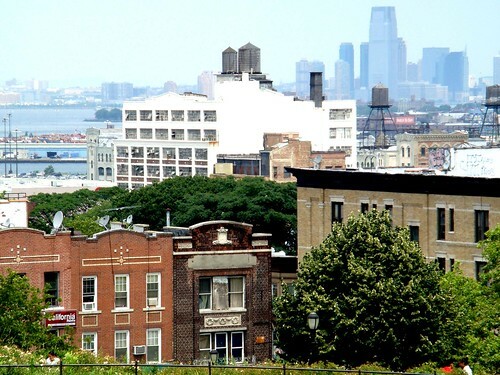 The hilly terrain of the park boasts magnificent views of Downtown Brooklyn and the Brooklyn Bridge, Lower Manhattan, the Statue of Liberty, Staten Island and New Jersey beyond. 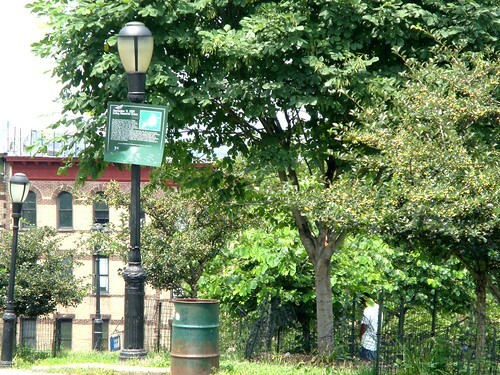 Lamp post bearing a sign indicating this as the highest spot New Yorkers observed the 9/11 attacks on the WTC.